The name, chewy chocolate chip brownie cookies, says it all. These cookies are a chocoholics dream! Mmmm….Chocolate!!! We are chocolate lovers at my house. Seriously, certain members of my family have a chocolate radar that can sense chocolate in the house no matter how well it’s hidden. 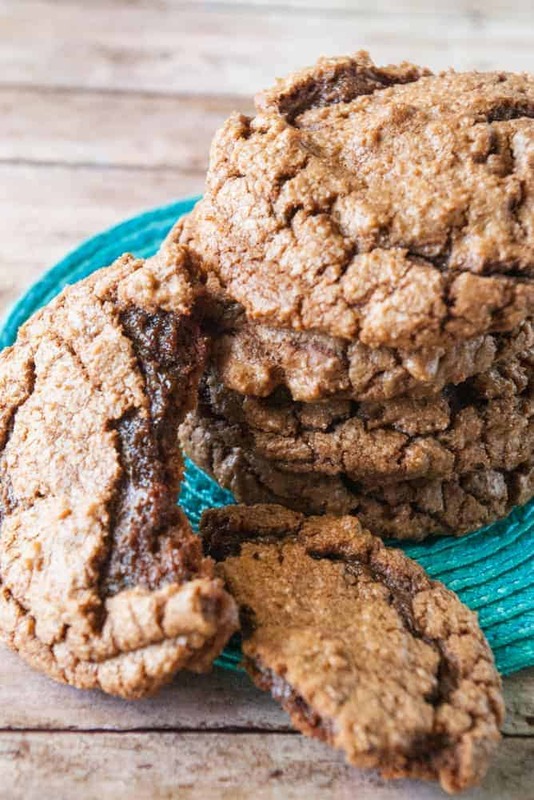 We make these chewy chocolate chip brownie cookies a lot. These will disappear as fast as you can make them! They are great for a snack. Great for a treat. Or great for making your day just a little bit better. After all, doesn’t chocolate make everything better? 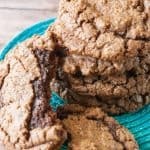 Chewy chocolate chip brownie cookies come together really quickly. You can also change up the kind of chips you add for a little variety. Sometimes I use white chocolate chips, peanut butter chips or mini M’n M’s instead of regular chocolate chips. As you can see in the picture, this cookie dough is a really sticky one. You may be tempted to add more flour to it, but don’t. If you are really worried about your dough not having enough flour in it, then try baking just one cookie to see if it spreads too much. Once your cookies are done, I highly recommend eating a couple (or more ) warm! Preheat your oven to 375 degrees. Spray a couple baking sheets with non-stick cooking spray or line them with parchment paper. In a mixing bowl, cream the shortening and brown sugar. Mix in the water, vanilla, and eggs. 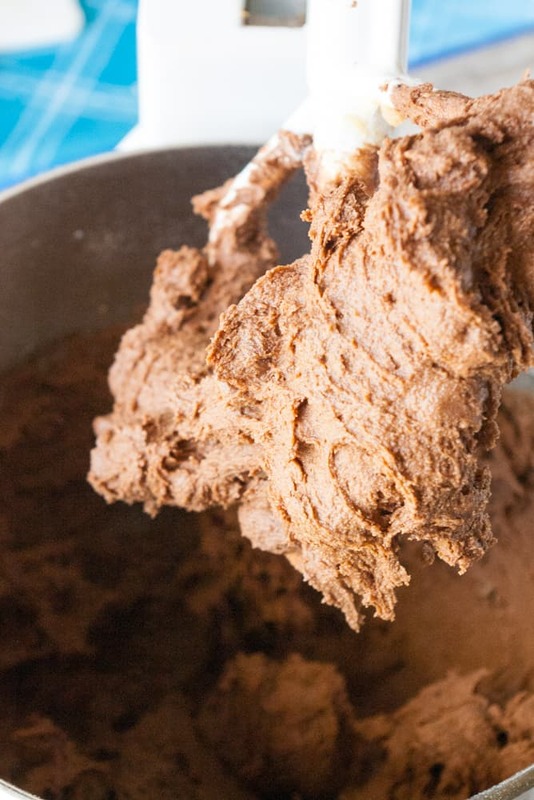 Add the baking soda, salt, and cocoa and mix well. Stir in the flour and chocolate chips. This cookie dough is a pretty moist and sticky dough. 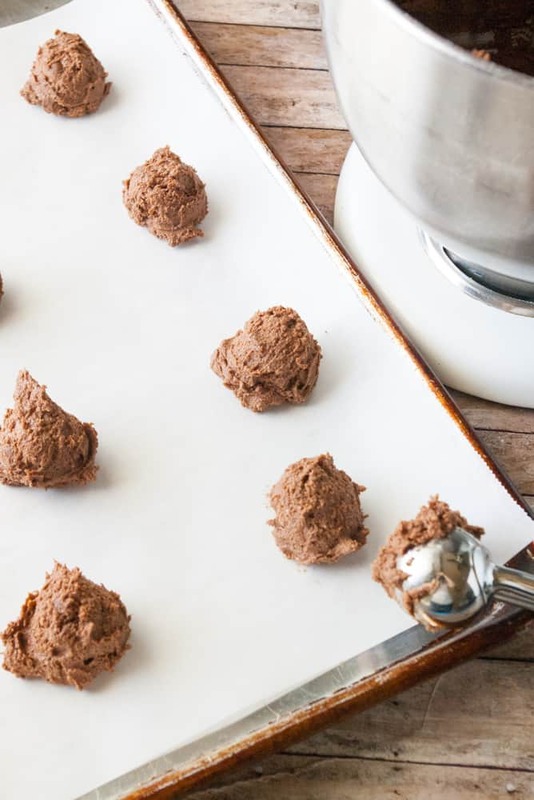 Drop by heaping tablespoonfuls onto prepared baking sheets a couple inches apart. Bake for about 8 minutes. These cookies will appear slightly under cooked when they are done. Remove from your oven and let them cool on the baking sheet for at least 5 minutes before moving them to a cooling rack.